Does a “pyramid” structure help guide UX in lists? Structuring the length of the subsequent items to create a "pyramid"
You have two challenges: how users scan and read (presentation), and how you prioritize content for inducing readers to engage more with your message (content). Centered and increasingly longer line lengths do not make for better legibility. The eye has to increasingly zip back and forth. Length !== Increasingly Interesting Content. Screen reading is tiresome. You actually have a potential solution embedded in your question: the bulleted list for scannability. Works on small viewports: the list retains it's structure. Centered unmoored text can increasingly bunch up. Readers perceive the bullets as shortcuts to succinct, high-priority content. It’s not surprising that, in usability studies, we observe readers gravitate towards bulleted lists with fervor. Web readers want to digest content quickly. 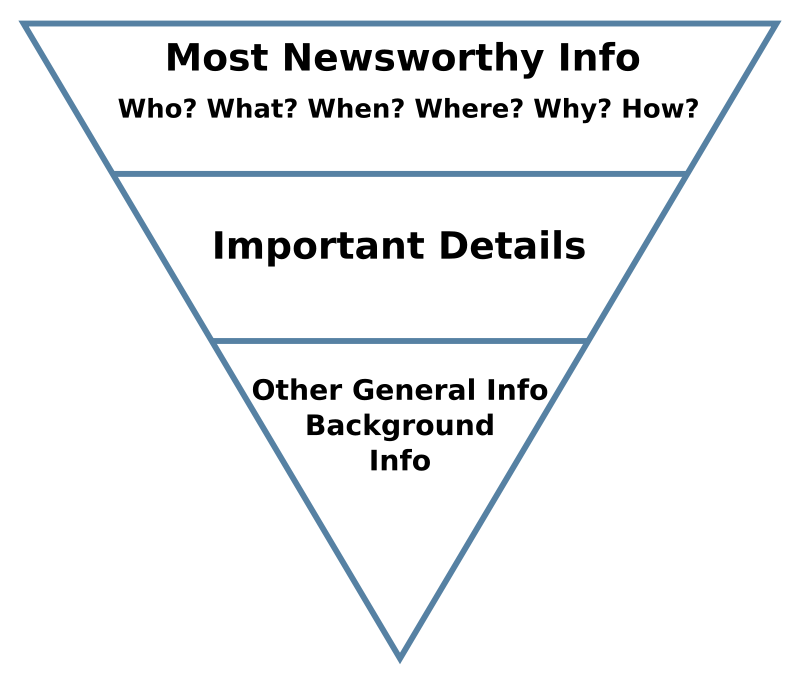 There is a pyramid that is useful, but it doesn't have to do with visual presentation. It's about content. For content, put the most important things first. The widest part at the top represents the most substantial, interesting, and important information that the writer means to convey, illustrating that this kind of material should head the article, while the tapering lower portion illustrates that other material should follow in order of diminishing importance. Not the answer you're looking for? Browse other questions tagged website-design user-behavior lists or ask your own question. Representation of multifield nested lists?